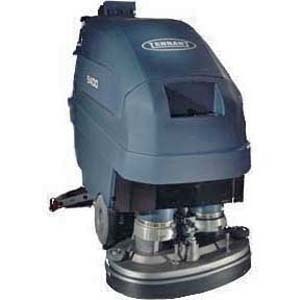 The TENNANT 5400 is a battery powered auto scrubber. The unit is propelled forward making it easy maneuver and reduce fatigue. The TENNANT 5400 is available in disk or cylindrical heads. The unit features an easy control panel that operators of all skill levels can operator, also reducing the training needed.